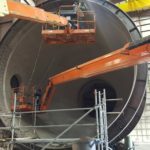 JT THORPE has performed design, engineering and construction on virtually every type of power plant and steam generation unit currently manufactured. Through the use of proven designs and innovative engineering applications, JT THORPE brings value to our customers in the power market. future maintenance requirements. Our services include capital construction, maintenance, shutdown and outages, major rebuilds and repairs. 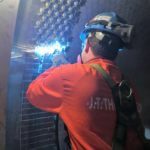 JT THORPE has the ability to perform all refractory services including brick, shotcrete, gunite, castable, ceramic fiber, plastic, anchor welding, hot stop pumping, demolition, pre-cast shape fabrication and installation, refractory design and engineering. JT THORPE has been serving the CFB industry since its introduction to the US market in the late 80’s. 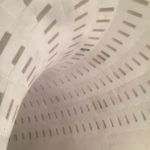 Our experience includes design and engineering of refractory linings and supply and installation of refractory materials. Services performed include bricking (firebrick and IFB), gunite, shotcrete, pump casting, form and pour castable, plastic ramming, ceramic fiber, anchor welding (stick and stud) and demolition (manual, robotic and hydro). JT THORPE has extensive biomass experience from CFBs and bubbling bed units to wellon cells and stokers. 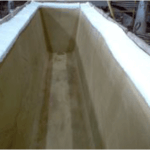 Our experience includes design and engineering of refractory lining, supply and installation of refractory materials. 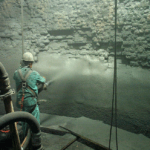 Services performed include bricking (firebrick and IFB), gunite, shotcrete, pump casting, form and pour castable, plastic ramming, ceramic fiber, anchor welding (stick and stud) and demolition (manual, robotic and hydro). JT THORPE has extensive coal fired experience from CFBs and bubbling bed units to pulverizers and stokers. 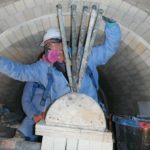 Our experience includes design and engineering of refractory lining and supply and installation of refractory materials. 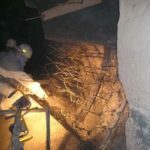 Services performed include bricking (firebrick and IFB), gunite, shotcrete, pump casting, form and pour castable, plastic ramming, ceramic fiber, anchor welding (stick and stud) and demolition (manual, robotic and hydro). JT THORPE has extensive gas fired experience from HRSGs to steam boilers. 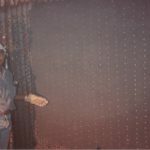 Our experience includes design and engineering of refractory lining and supply and installation of refractory materials. 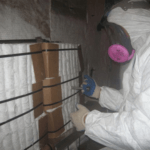 Services performed include bricking, gunite, shotcrete, pump casting, form and pour castable, plastic ramming (boiler tubes and burners), stainless steel liners, ceramic fiber linings, anchor welding (stick and stud) and demolition (manual, robotic and hydro).